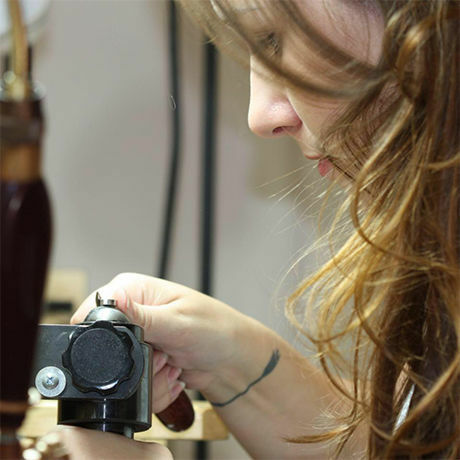 For over a decade, Jenni has honed the craft of high end fabrication and custom design of fine jewelry. A classically trained goldsmith, she took her expertise at hand building on the bench, and applied the same approach and techniques to building on a computer in 3D CAD software. After years of working with other jewelers and watching prices inflate as jewelry progressed through middle men, she launched her flagship brand as a way to bring flawlessly crafted, easily customized fine jewelry to everyone.